Welcome to the 10th Congo in Harlem at New York's Maysles Cinema, an annual series of films, panel discussions, performances, and special events focused on the history, politics, and culture of the Democratic Republic of the Congo. The aim of the series is to deepen our community's understanding of Congo through art and dialogue. Each year, we strive to offer a diverse program that provides more than the traditional movie-going experience -- at Congo in Harlem, our audiences find opportunities to discover Congolese food, music, and artwork, learn about Congo's challenges, and get involved. 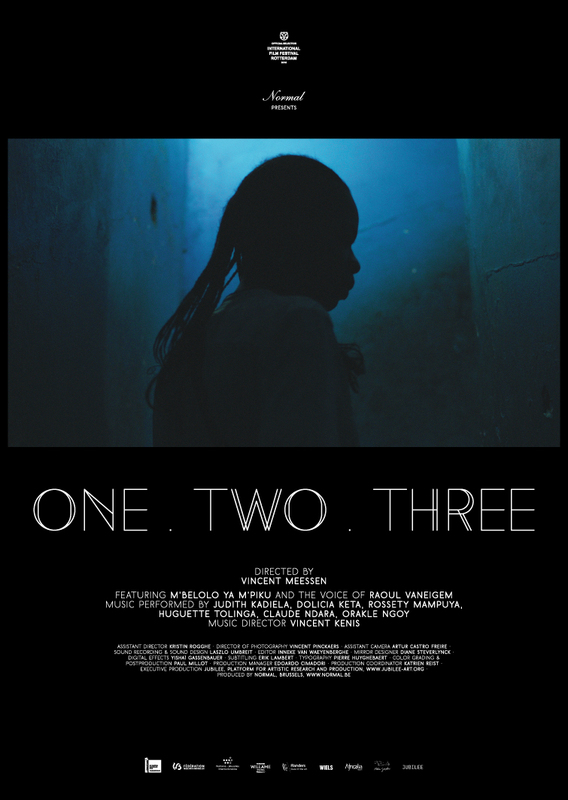 One.Two.Three explores the little-known participation of Congolese intellectuals in the Situationist International movement, as told through the experience of Joseph M’Belolo, a student in Belgium at the height of the movement. The film, presented as a triptych, becomes an experimental space for the reworking of a protest song M’Belolo wrote in 1968, now performed by female musicians in the legendary Un Deux Trois nightclub, once home to the legendary Franco and his band OK Jazz. As M’Belolo’s lost song is rediscovered, popular uprisings break out in Kinshasa, evoking the repetitive cycles of injustice and resistance. In the mid-1960s, the USSR starts Marxist-based humanitarian aid programs in Congo and several other newly independent African nations. Soviet filmmakers are sent along to document the glorious advance of socialism, generating an archive of material that captures a pivotal moment for the entire continent. After the fall of the Soviet Union, Russia lost political interest in Africa, but the films shot on African soil remain. Drawing on this rare archive augmented by impeccable sound design, Our Africa recreates the time of the “Great Utopia”, and in the process exposes the mechanisms at play in the creation of propaganda.